Runs, parkruns, and statistics – what’s not to like. i am slightly, well a bit more than slightly, fascinated with statistics, especially running and fitness statistics. So much for the bias. I, and anyone similarly disposed, am certainly well catered for, both in the number of runs and races that are organised and in the amount of relevent statistics that are produced. As regular readers will know, i run fairly often but not regularly in the Saturday morning 5k parkruns, usually in Marlay Park in south Dublin. In fact, sometime this autumn i should clock up my 50th parkrun – that’s a statistic in case anyone wasn’t paying attention. Of course the beauty in numbers is the story behind them. That’s not just fifty 5k runs, that fifty early rises on a Saturday morning, some cold, some wet, some both, some sunny, all fun. Sometimes i got up, looked out the window and went straight back to bed, sometimes i got up again and headed out, sometimes i didn’t. Fifty shades of emotions, of states of mind, of troubles dissipated by running, of joys shared, of problems solved. Fortunately the details of all those statistics have not been recorded for posterity. Parkruns provide not only great runs but also great statistics. You are running against the clock and against yourself and that is part of the magic of parkruns and of most timed runs. Your fellow runners are there for the atmosphere and the camaraderie . The clock is for the motivation. My category is currently VM55 – 59, that may be just a code or it may reflect my age – here’s where i’m depending on Mark Twain to provide the interpretation. Parkrun emails you your result each week and provides loads of data including your position in your Age Category – how many people your age are faster than you – yes, it can be a bit painful. In my last parkrun, the 160th in Marlay Park, i was 10th in my age category. Not only is your time and position recorded but also your position by age and gender as well as other interesting data. See my summary sheet below. But enough about me – as they say in all the best sitcoms. Lets have another look at those statistics. A cursory run through the table of results for the 160th parkrun indicates that fifteen or so men in my age category ran that day out of a total of 518 runners, i.e. less than 3%. Now that’s an interesting statistic. A 2014 study ‘Obesity in an Aging Society’ found that 38% of Irish men in the age group 55 to 64 were obese and a further 40% were overweight. A 2015 survey by ‘Healthy Ireland’ reported similar statistics 39% of men between 55 and 64 were obese and 44% were overweight. There are about 53 parkruns in Ireland every Saturday morning and about 64,000 individuals have participated in those runs, some may have run only once, others have run over 100 times. Now sometimes in looking at statistics you have to make some assumptions because the precise data you want has not been measured in the way you want it. So let’s say a generous 6% of those parkrunners, that is twice the number in my age group who ran last weekend, are in the age group 55 to 64. We make that assumption just so that we can compare the figures. So 6% of 64,00o would be a respectable 3,840 men of a mature status running at 9.30am in a park in Ireland come rain, shine or freezing winds from the north. How many such men are there in Ireland? The CSO, Central Statistics Office seems to only record the broarder age category of 45 to 64 of which there were about 520,000 of us living in Ireland in 2011. The CIA World Factbook, i kid you not, gives a better breakdown reporting that there were 246,000 of us VM 55 -64s moving between couch and 5k, or not, in 2014. Almost a quarter of a million mature males of whom, according to the statistics, about 78% were overweight or worse. That 78% equates to 191,880 full bodied males of our age category being overweight or obese with all the health related problems which will only get worse as we get older, costing us and our loved ones much pain and suffering and costing the state a fortune in healthcare. The percentage of our age group who are partaking in parkruns is about 1.5%, i.e those doughty 3,840 of us. Of course, there are many other forms of exercise other than parkruns and some people live a sufficiently active lifestyle that they do not need to exercise to keep fit and healthy. Nontheless, the statistics remain damning. I am a huge fan of Operation Transformation and the awareness and change that it is bringing to Irish society. It is one of the best things to happen in Ireland in our search for health and fitness. It is obvious though that we need to do more. I believe that we need to develop targeted programmes at specific groups and it may be that age categories would be a useful methodology for such targetting. Medicine and medical care needs a seismic shift to meaningfully become health care, not sick care. We need more data – you cannot manage what you do not measure – and specific programmes of activity. I have been to my physiotherapist a couple of times recently to seek the solution to a sore lower back – tight muscles are causing the problem – a stretching regime provided the solution. We take instructions from health professionals such as physiotherapists as to what we should do by way of exercise such as stretching. I believe we need to get our doctors prescribing exercise too. With the various apps available today for mobile phones as well as watches of all sizes and prices, recording the prescribed exercise would be a simple issue. Recent reports in the British media suggest that the National Health Service is becoming strongly biased against providing operations for smokers and the overweight. That may be justifiable based on success rate statistics but is hardly defendable on a human basis. Obese people will be banned from routine operations unless they lose weight in an NHS cost-cutting exercise. 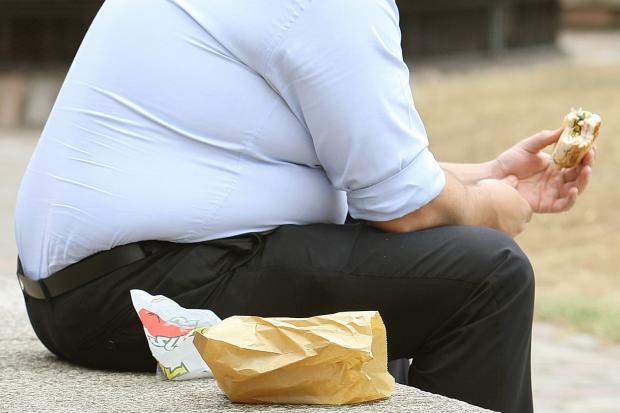 People with a body mass index of 30 and above will be refused non-life threatening surgery for up to a year unless they can shed 10 per cent of their body weight under one NHS authority’s plans. Smokers who also refuse to quit will face having procedures delayed for up to six months, unless they quit for eight weeks. Hospital leaders at the Vale of York clinical commissioning group have introduced the new rule – but the Royal College of Surgeons said blanket bans were “wrong”. Operations which could be delayed in these cases include hip or knee replacement surgery.” Evening Standard. However, it does seem that the NHS is providing individual plans to help these people so it is not possible to comment further without knowing the detail of these plans and the support and back-up the patients-in-waiting receive. We want to live well, not just long.